Chicken Bucket presents: Dragons, Chickens, Yaks and Crickets! My favorite chicken coup has been cookin' up something spicy! After a long night of studying and storytelling, Scootaloo, Smolder, and Yona team up to bake a cake for Rainbow Dash. Go check it out! Yours Truly was an editor, and lemme tell you, this is a good one. I wrote a little blurb as a challenge from a friend of mine. Let me know if you guys think I should publish, or just your general thoughts. you all. So, I'll be leaving Wednesday early afternoon for Bronycon. 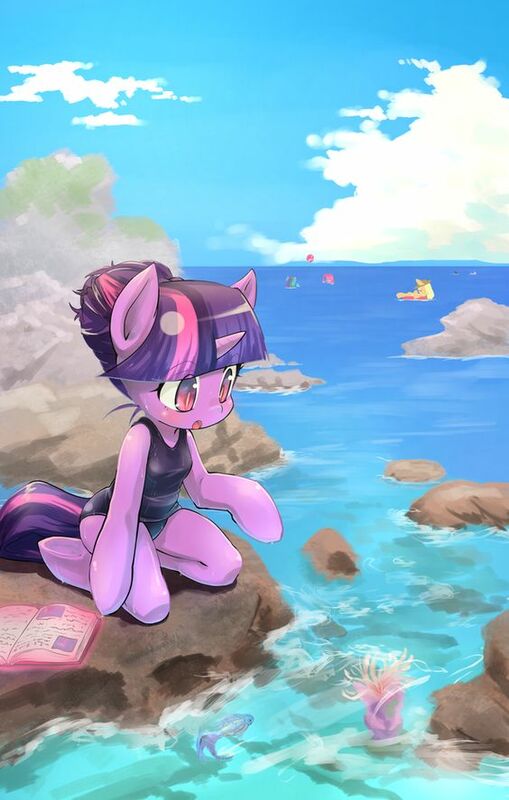 Hosted in Baltimore, Maryland for anypony that didn't know, this will be the third year in a row for me. I'll be happy to chat with anyone that wants to meet me, though I doubt there's too many that would, and maybe go have a drink if you're old enough. If you want to meet up, PM me before 11:00 AM EST on Wednesday and we'll work out the details. Otherwise, sorry for not posting as much as I should be lately, things have been rather chaotic at home. Dammit! I'm too late, aren't I?